Every year as the weather cools down, our menu heats up. Back for the 12th year in a row, we're serving up our homemade Brunswick Stew and Smoked Brisket Chili in all of our Joints. Made from scratch every day (just like everything else on the menu), these two cool weather favorites are on the menu all fall and winter long. We make our Brisket Chili every morning. We start each batch with all the good stuff you would expect in chili - onions, dark red kidney beans, tomatoes and a whole lot of spice. Then we go and make it extra tasty by loading it up with beef brisket - but only after it's been smoked for 18 hours over hickory wood! Topped with shredded cheddar cheese and slices of pickled jalapeño peppers, it's definitely a staff favorite. And if you've never had Brunswick Stew, well you're obviously not from the South. A hearty stew made with corn, beans and peas, Brunswick Stew might first look like a thicker version of vegetable soup, but this stuff is definitely not for vegetarians! It's packed with pulled pork BBQ and has a hit of our Sweet Dixie BBQ Sauce for a little extra flavor. 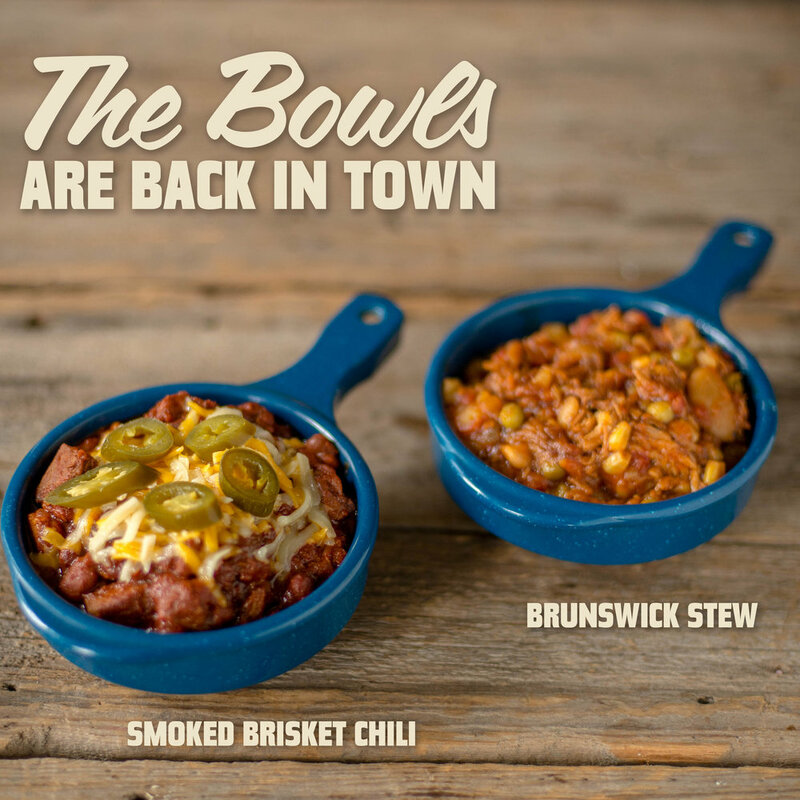 We hope you'll make sure to pop in sometime over the next few months and enjoy a bowl or two of Smoked Brisket Chili and Brunswick Stew - before they go away until next year!